2014 – Early 2015 | Sunn Creative Record Label dedicated to quality independent music and creative expression. 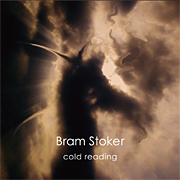 2014 was an eventful year with two releases; the critically reviewed ‘Cold Reading‘ by Bram Stoker, with over 23 brilliant industry reviews, and the ambient prog album, ‘Human Sleeping’ by Tony Lowe and Alison Fleming. Both well received by listeners and radio alike. 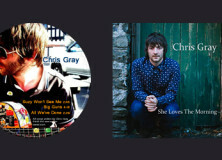 Meanwhile Chris Gray has been gigging steadily, getting ready for a busy 2015. This year he supported Matt Cardle and John Power as well as headlining a number of shows while recording his debut album, ‘Diamonds In Your Tree’; release April 2015. We have exciting plans going forward for the label and a number of new releases in 2015, starting off with Chris Gray’s new digital EP as part of the ‘Diamonds In Your Tree’ spring campaign. His album will be released April 2015. Our collaborations with David Cross (King Crimson) in a number of areas resulted in a completed video in support of David and Robert Fripp’s new Album, ‘Starless Starlight’ (a Tony Lowe co-production). Tony is also working with David on a new collaboration and Sunn Creative produced a related documentary – See below. All to be released in 2015. We have a number of projects on the go; one being the forthcoming ‘esp’ album project which will involve contributions by various name musicians. Sunn Creative would like to thank the music lovers, radio stations, reviewers, customers, fans, artists, photographers, and friends who have supported our music releases in 2014 (and earlier) and who have written us, and the artists with their support and comments. 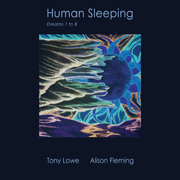 This entry was posted in News and tagged Bram Stoker, Chris Gray, Cold Reading, David Cross, Human Sleeping, King Crimson, sunn creative, Tony Lowe by string. Bookmark the permalink.